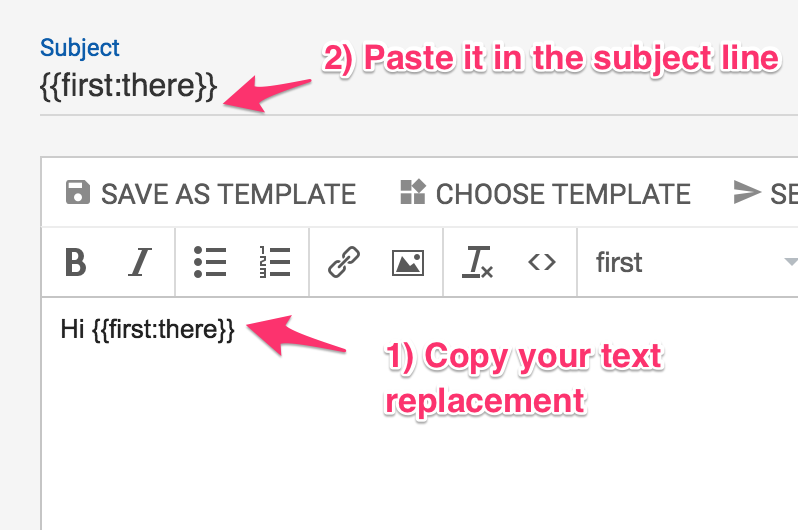 The first thing is to make sure you have a "Name" field in your CSV (comma-separated-values) file. 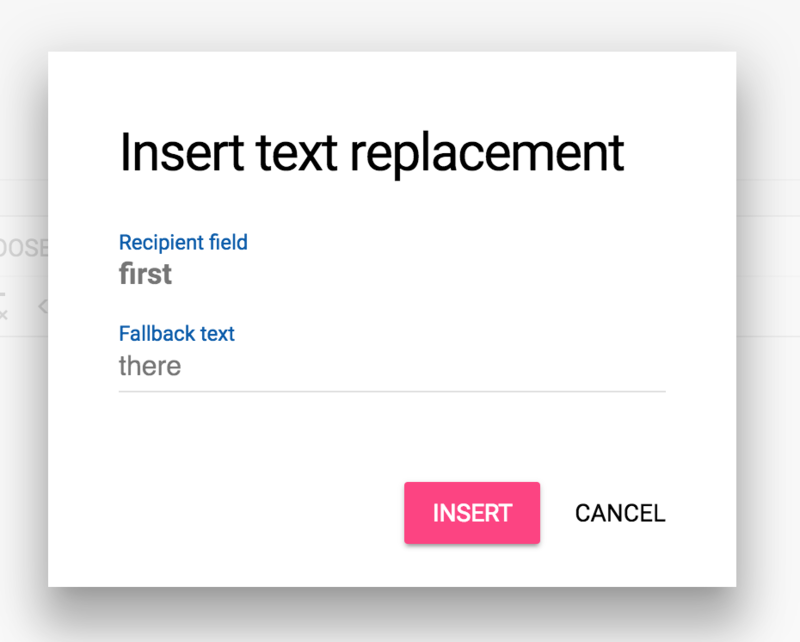 Mailshake will automatically pull out "first" and "last" text replacements for you from that name column. 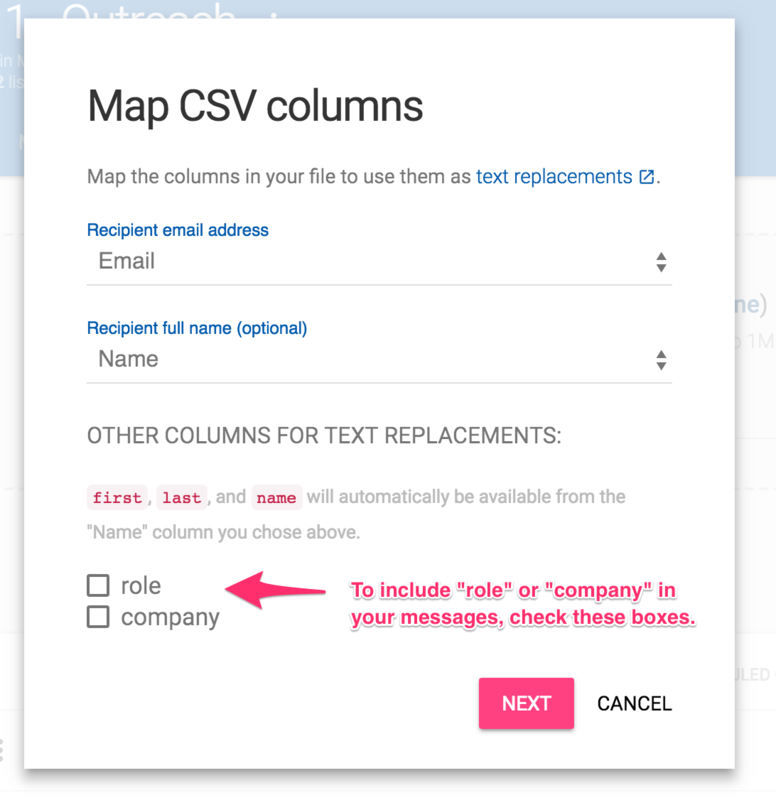 When you upload your CSV file, tell Mailshake what column is the "email address", which column is the "full name" (optional), and what other column data you'd like to use as text replacements. Then choose fallback text for the people who are missing that field. In the example below most people will have a name listed, but if they don't we'll fallback so our email reads "Hi there" instead of "Hi John".